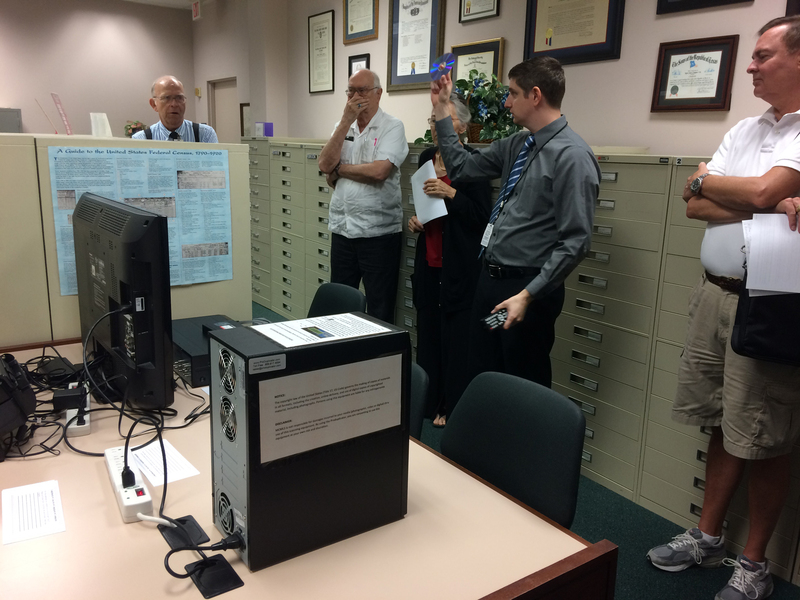 The Genealogy & History Room is located in the Central Library on the second floor. 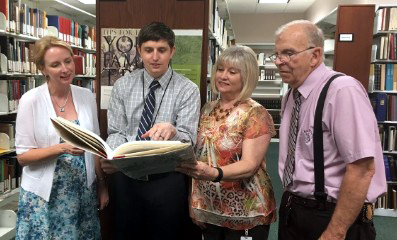 It contains the fourth largest genealogy collection in the state. For more information call 936.788.8363 ext. 6249. 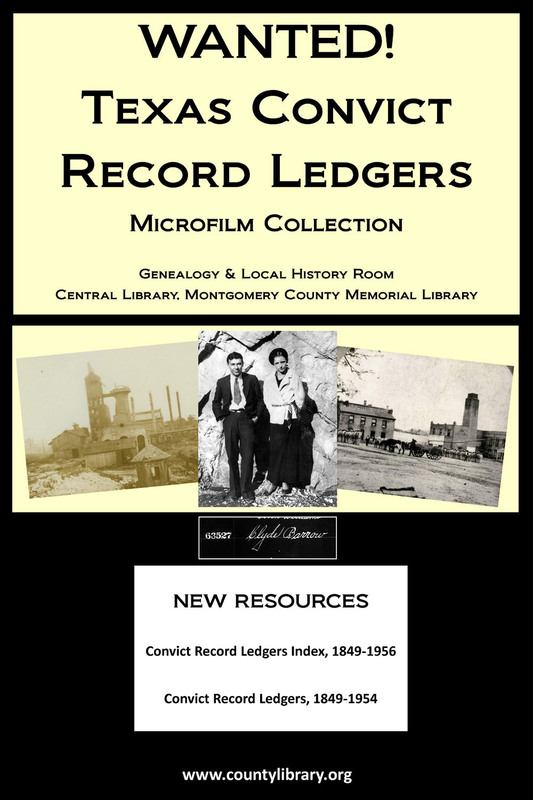 Download the Genealogy MCMLS Department Guide. Got shoeboxes or photo albums stuffed with print photographs? The new Kodak High Speed Photo scanner will help you convert those prints into a high-resolution digital image format. With an easy to use touch-screen interface as well as a scanner capable of scanning 50 photos per minute, you will be able to create digital copies of all those photographs in no time flat. Just bring in a spare USB flash drive and your photos to get started! Does single and double sided scans for those photos that are identified! Want to convert those old slides or negatives into a digital image? Our small but powerful Wolverine F2D Mighty Scanner is capable of handling 35mm, 100mm, 126K, 127K slides and negatives, as well as old 8mm / Super 8 film strips, converting them into a digital JPEG image format. Just bring in your old photographic media along with your USB Flash drive to get started! So you just finished converting those old home videos or photos and burned them onto a new DVD. Want to make some copies to share with family or friends? 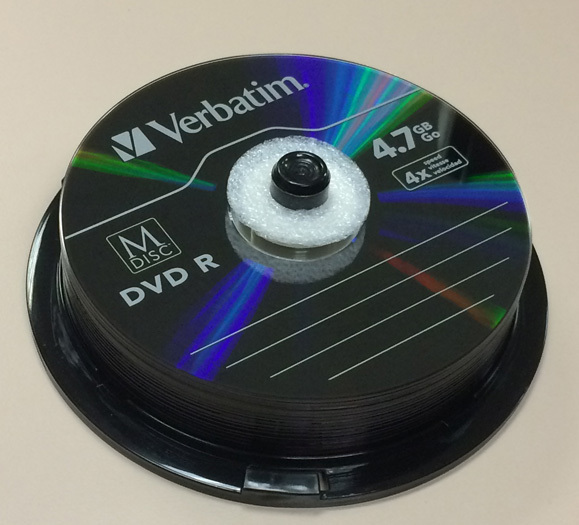 Our Produplicator is a disc-duplicating machine that can make up to five copies of a CD, DVD or Blu-Ray disk at once. It is also equipped with a powerful burner that can copy a normal DVD or Blu-Ray disk onto the new M-Disc archival media format that is capable of lasting up to 1,000 years without any degradation to data. Just bring in your source DVD along with a few blank discs to get started! The M-Discs come in various capacities. 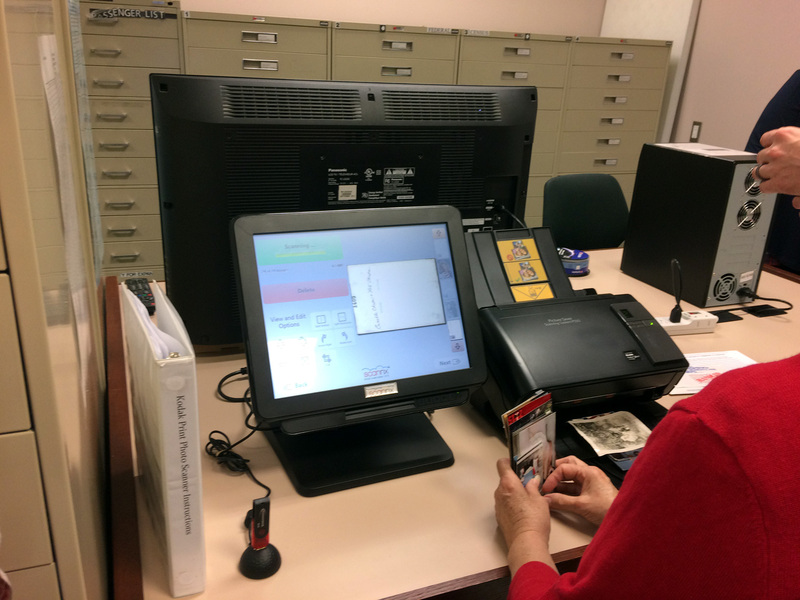 If you are interested in using any of the machines in the Preservation Pad, we ask that you please contact the Genealogy Department to set up a reservation first by calling 936-788-8363 ext. 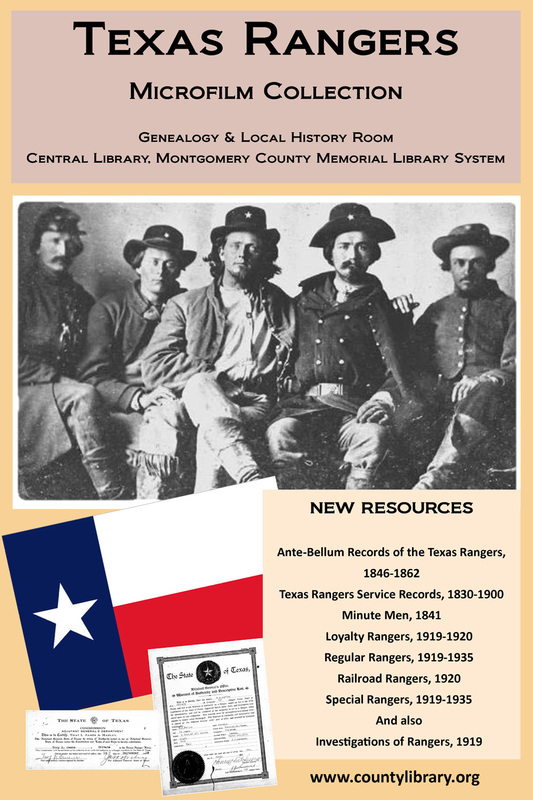 6249 or emailing us at librarygenealogy@countylibrary.org. Due to anticipated high demand for our new equipment, reservations will be made at a first-come-first served basis. Thank you! Now a Family History Center! 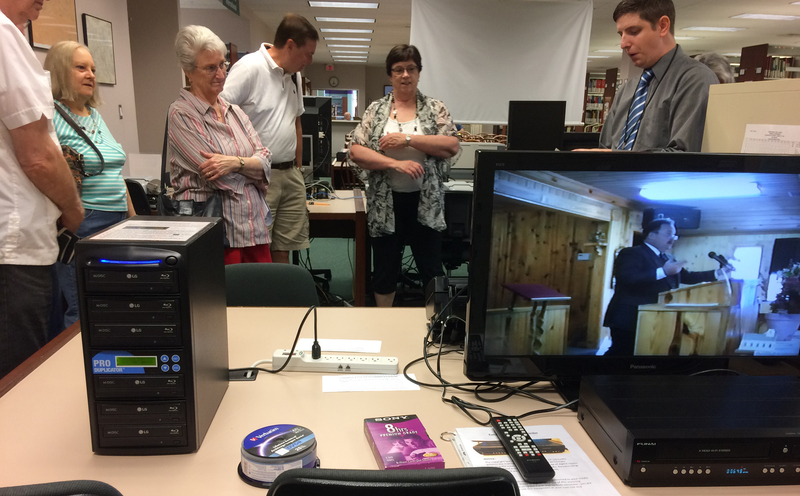 The Genealogy & History Room in Montgomery County Memorial Library is now a Family History Center.